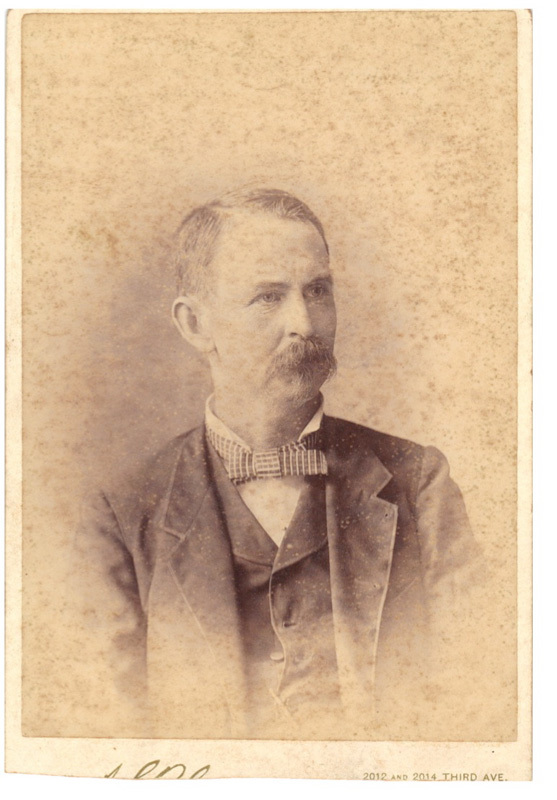 John Farquhar Trezevant was born in Cayuga, Hinds County, Mississippi, on August 8, 1843. 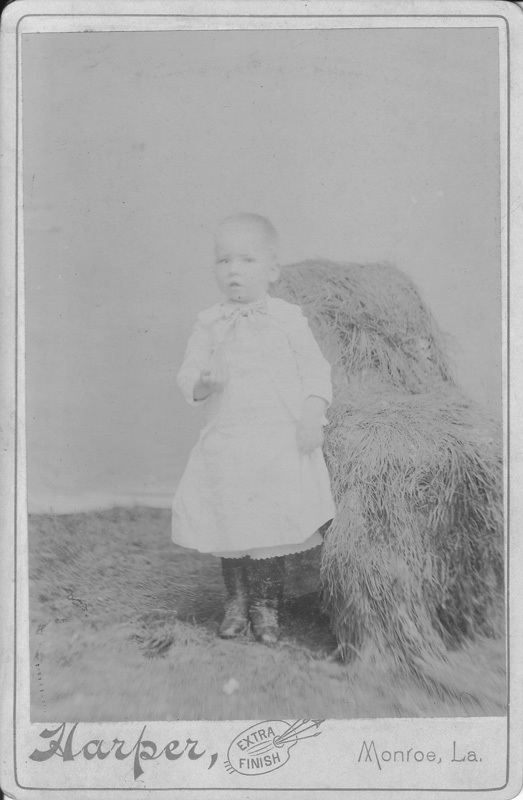 His parents were James Peter Treevant and Mary Ann Elizabeth Williams (nee Hicks), a widow. 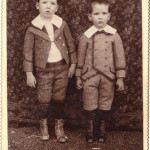 He was the second of three sons; his older brother was Vernon Charles and his younger brother was George Timothy. 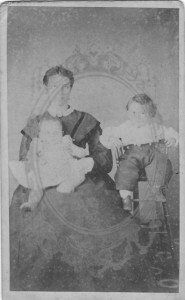 In 1852 the family moved to what is now Delhi, Louisiana, in Carroll Parish, the most north-eastern Louisiana parish, across the Mississippi River from Vicksburg. 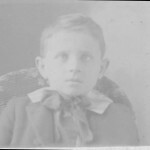 John was about nine years old, and he remembered seeing just a blacksmith shop in the village. 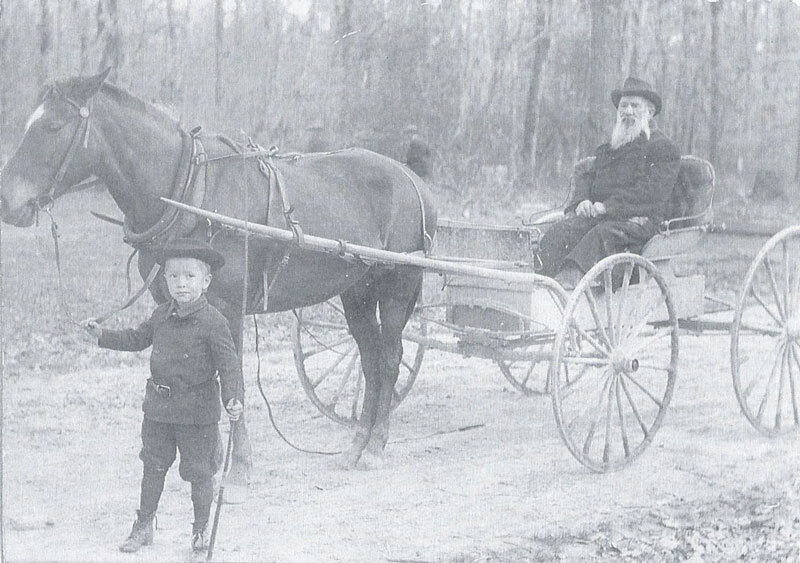 At that time the village was called Deerfield, after the Deerfield crossing of the Bayou Macon, where the stagecoach road crossed between Vicksburg and Monroe. The area of Deerfield/Delhi was in the original Carroll Parish (established in 1832 and split into East Carroll and West Carroll after the Civil War) and was later included in the new Richland Parish, which was established in 1868. The excitement of the last two days has been the entirely unexpected reappearance of the Yankees on the river. They came upon us like a thief in the night. The entire Yankee fleet was at Milliken’s Bend ready for a fight before anyone on the river knew they had left Memphis. It does not seem possible for thirty-nine boats to pass five hundred miles down the river without being discovered, but such was almost literally the case. The people of Lake Providence did not know until the next day that a fleet had passed by them…. 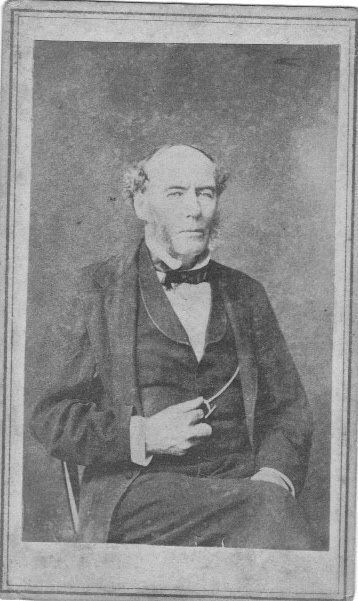 Prior to the Civil War John probably met the English painter John Antrobus (1831-1907). 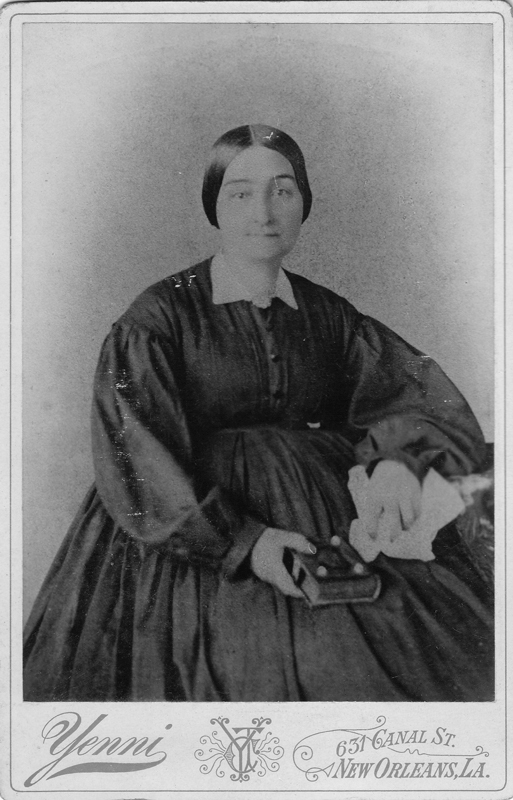 Antrobus had arrived in the area before 1855, the year he painted portraits of John’s parents, James and Mary Trezevant, in Carroll Parish. Antrobus was then twenty-four. 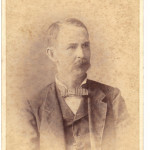 By 1860 Antrobus had gone to New Orleans, but when the Civil War began he was commissioned lieutenant in the Delhi Southrons and left for Virginia in July of 1861. 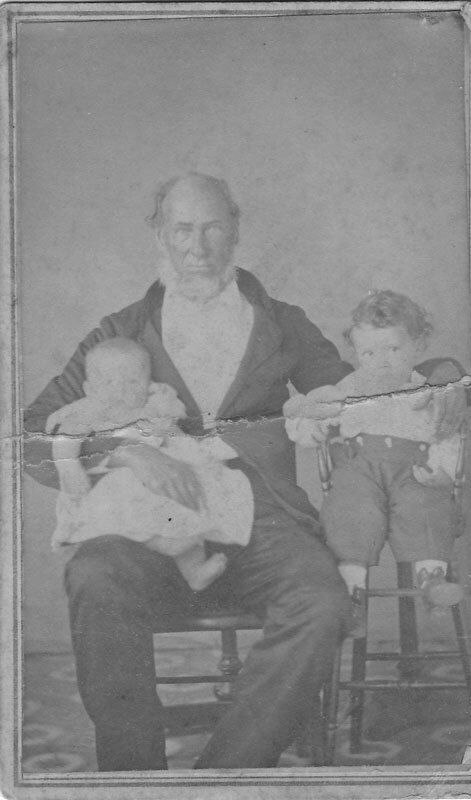 Family lore has it that when John Trezevant went off to war he was accompanied by a slave named Daniel. They were together in Vicksburg during the siege, from May 25 to July 4, 1863. On one occasion John was invited to dinner at the home of a Vicksburg resident. 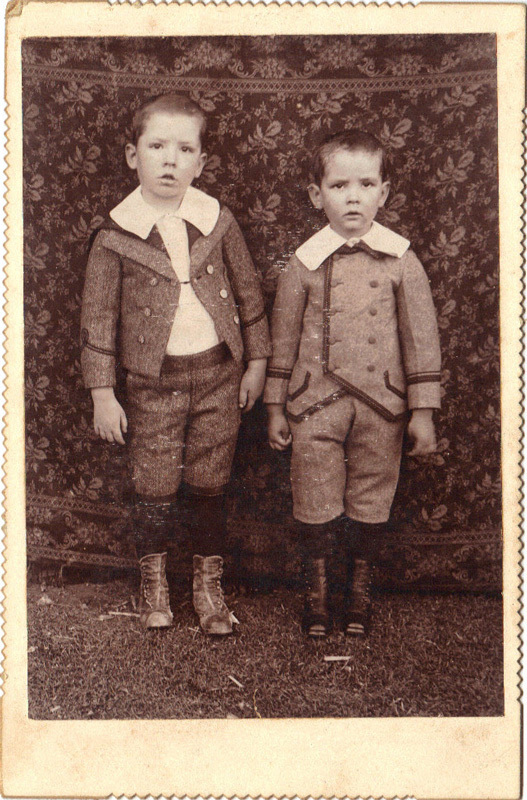 Daniel came to the door begging for food “for his master.” John and Daniel pretended not to know each other, so they both were fed. NOTE. JULY 4, 1863. Two days bring about great changes. The banner of the Union floats over Vicksburg. Gen. Grant has ‘caught the rabbit;’ he has dined in Vicksburg, and he did bring his dinner with him. The ‘Citizen’ lives to see it. For the last time it appears on ‘Wall Paper.’ No more will it eulogize the luxury of mule meat and fricasseed kitten—urge Southern warriors to such diet nevermore. 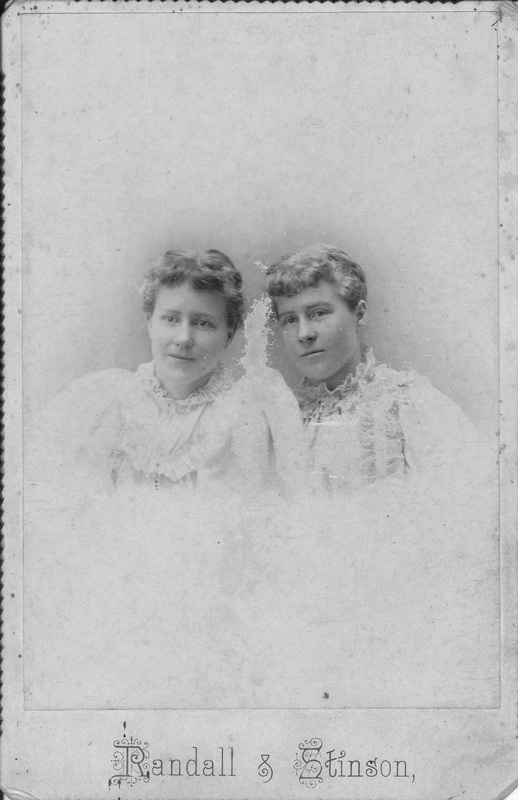 This is the last wall-paper edition, and is, excepting this note, from types as we found them. It will be valuable hereafter as a curiosity. 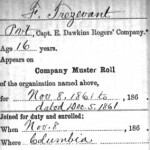 Whom It May Concern, Know Ye That: I John F. Trezevant [signed] a 4th Sergeant, Co/C/31st of Reg’t. La. Vols. C.S.A. 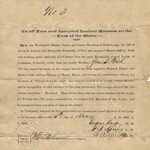 being a Prisoner of War, in the hands of the United States Forces, in virtue of the capitulation of the city of Vicksburg and its garrison by Lieut. 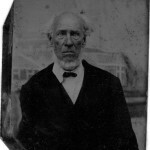 Gen. John C. Pemberton, C.S.A., Commanding, on the 4th day of July, 1863, do in pursuance of the terms of said capitulation, give this my solemn parole under oath——That I will not take up arms against the United States, nor serve in any military, police, or constabulary force in any Fort, Garrison or field work, held by the Confederate States of America, nor as guard of prisons, depots, or stores, no discharge duties usually performed by Officers of soldiers against the United States of America, until duly exchanged by the proper authorities. 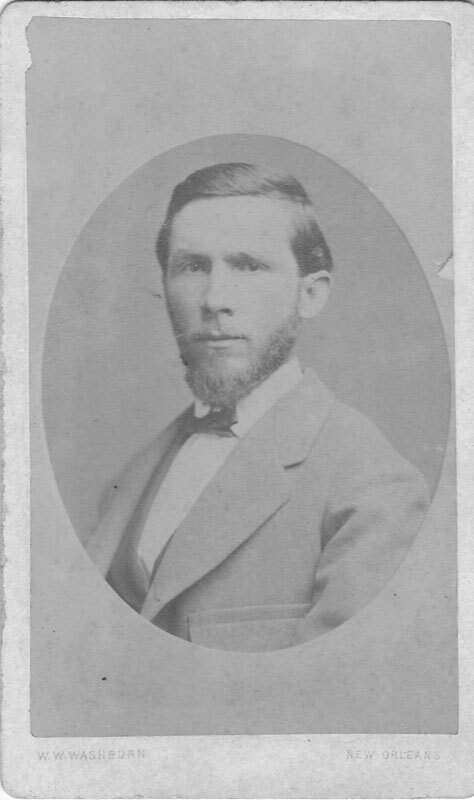 [Signed] John F. Trezevant. 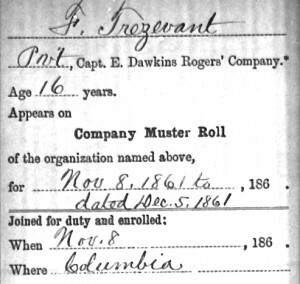 Sworn to and subscribed before me at Vicksburg, Miss., this 9th day of July, 1863. 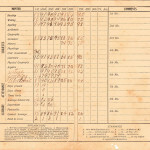 [signed, unreadable] 11th Reg’t. Ills. Infty. Vol. Captain and Paroling Officer. 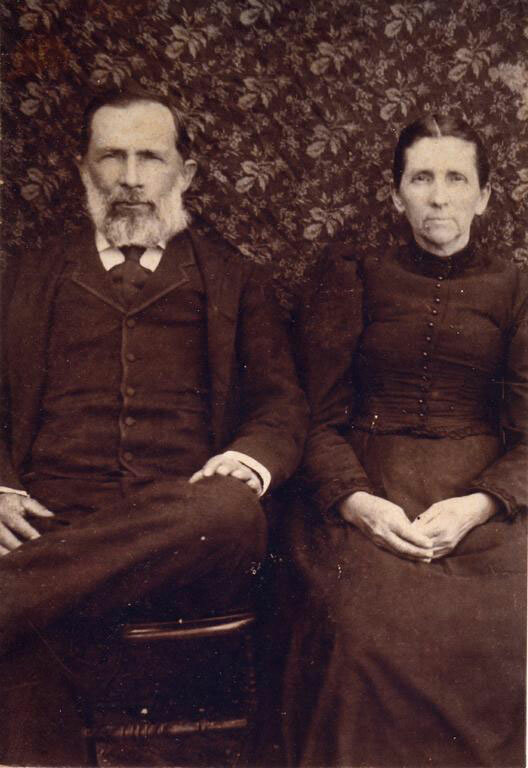 On January 21, 1867, John Trezevant, then twenty-three, married Martha Ann “Annie” Vick, who was twenty. 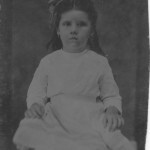 [1,2] She was born in Mississippi on July 11, 1846. 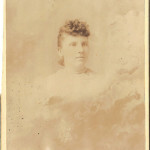 She was the only child of Jesse Thornton Vick (1811-1898) and Mary Jane Brown Vick (1823-1898). 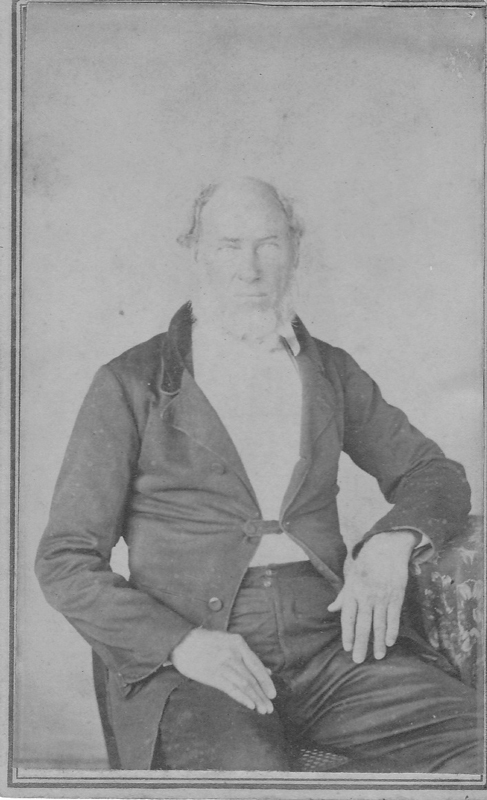 Jesse Vick was a close relative of the Reverend Newitt Vick, for whom Vicksburg had been named in 1825. 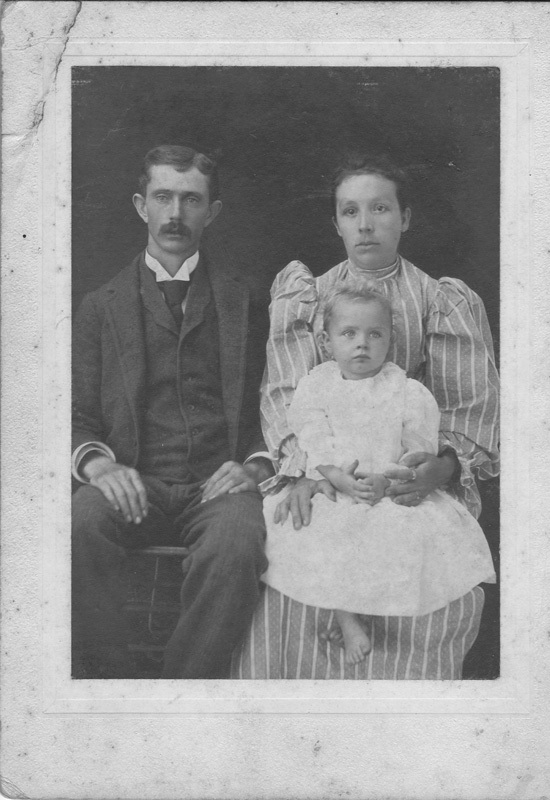 Jesse was born in Feliciana Parish, Louisiana, and Mary was born in Robeson County, North Carolina. 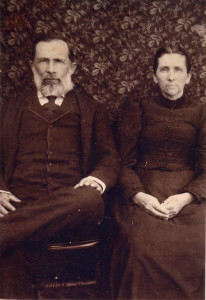 They married in 1844. 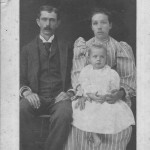 At some time they moved to the Delhi area and settled in Franklin Parish. They, too, were buried in the Masonic cemetery in Delhi. John and Annie settled at Hickory Ridge, near Warsaw in Franklin Parish, where all of their ten children were born. Seven of them lived to maturity. 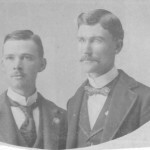 Their eldest, James Vernon, did his two-year medical training at the Kentucky School of Medicine from 1891-1893 and practiced in West Carroll Parish. 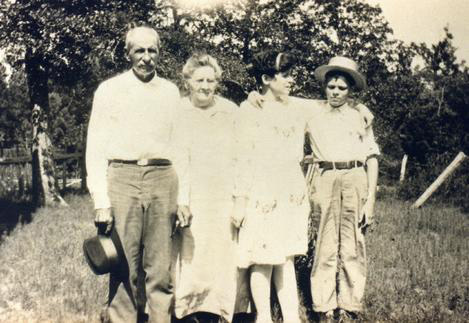 On June 6, 1896, the Supreme Court of the U.S. decided in his favor on a land-related suit, Eldridge v. Trezevant. 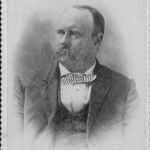 He served as a state representative from West Carrol Parish in the 1898 and 1900 sessions. 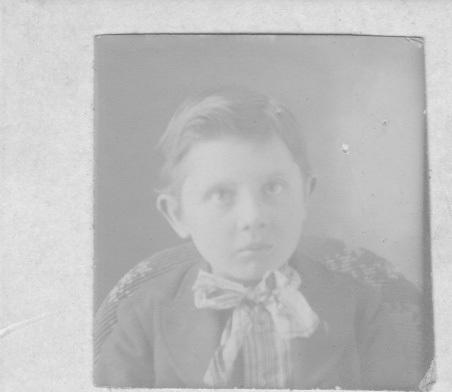 He died unmarried at age thirty-five. 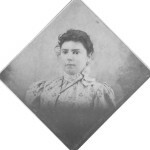 Mary Vick married Alexander Kincaid Montgomery, Jr. (1850-1899), and they settled on India plantation in Madison Parish. 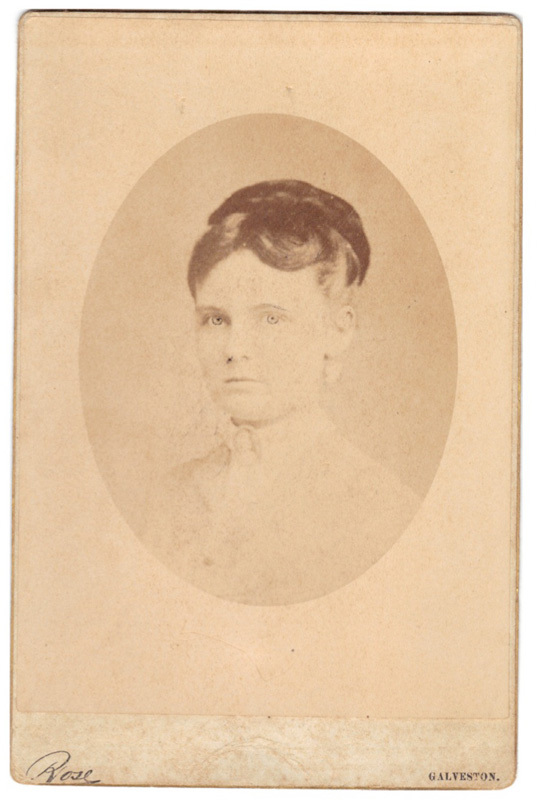 Margaret Elizabeth married Thomas Jefferson Griffin (1860-1938), and they settled in Winnsboro, Franklin Parish. 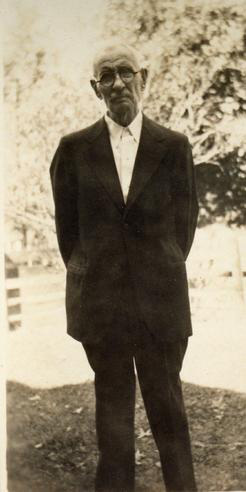 Jessie Brown married James R. Ragland (1866-1937), and they settled in Memphis, Tennessee. 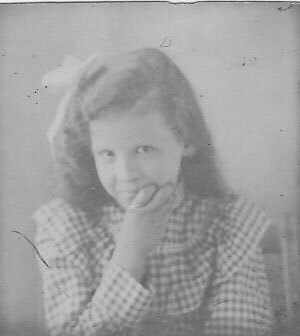 Julia Emma died at age nineteen in the family home in Franklin Parish. 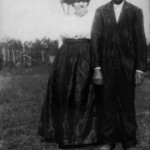 John Warren married Eula Benton Foster (1883-1937), and they settled in Franklin Parish, then at Delhi in Richland Parish. 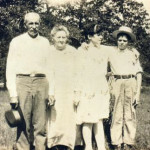 Charles Norman married Nancy Denson (1884-1911) and then Susie Stout (years not known). He also lived in Franklin Parish. 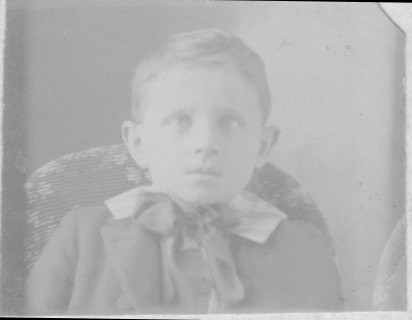 In addition to the children just mentioned, John and Annie had three boys who died very young. 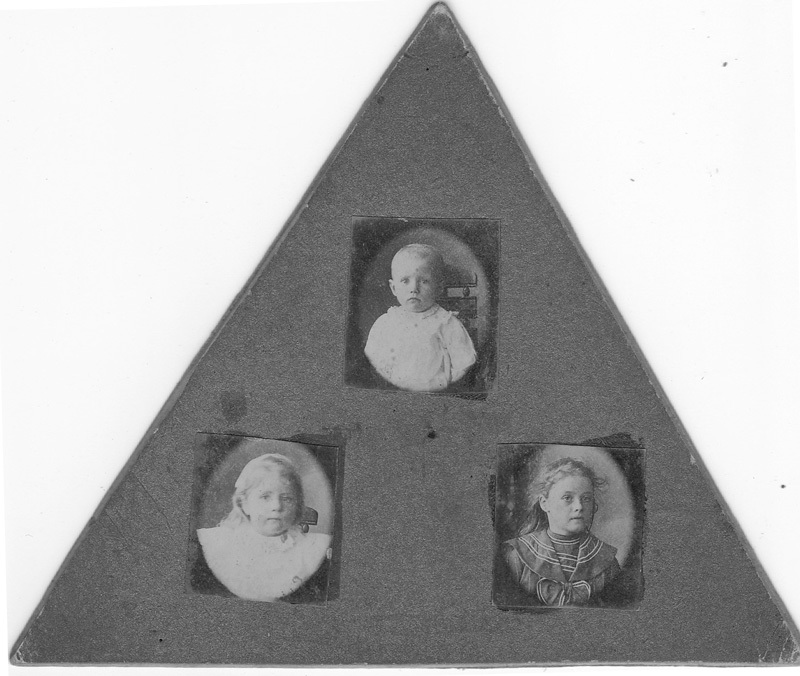 All of these Trezevant family members, except Jessie Trezevant Ragland, are buried in the Masonic cemetery in Delhi. 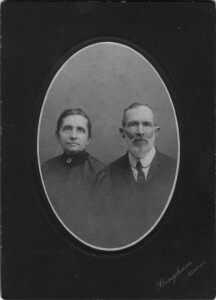 John and Annie lived in Franklin Parish their entire lives. 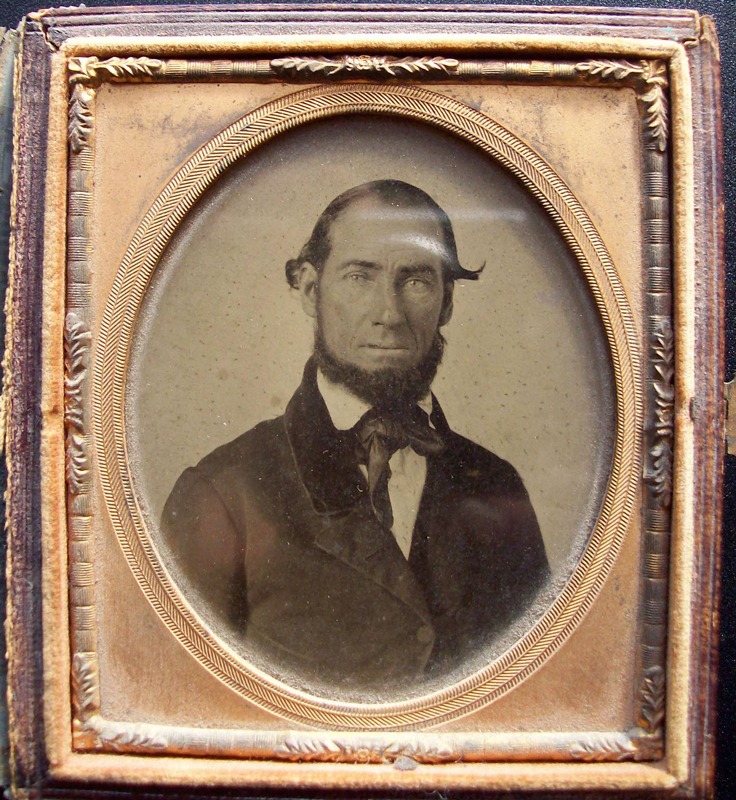 The family lore is that he bought land for $1 per acre after the Civil War. 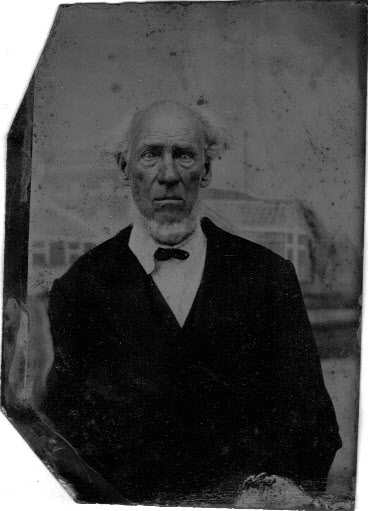 It’s also possible that he inherited land or the money to buy it after his father’s death in 1860. Their dogtrot house in the country became the focus of the entire extended family. 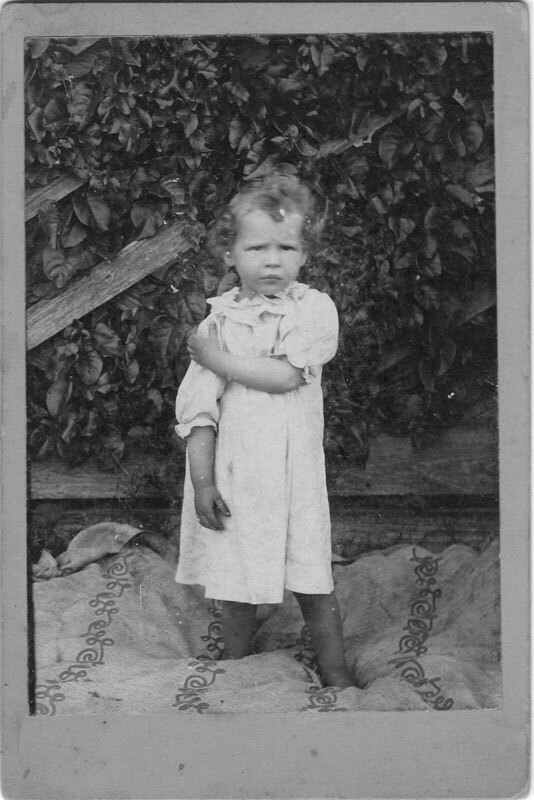 John’s widowed mother Mary moved in with them to help take care of the children. 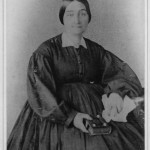 As the widow of James Peter Trezevant it was she who received from her sister-in-law, Charlotte Trezevant Gignilliat (1819-1910), the miniature of him that had been painted in 1837. 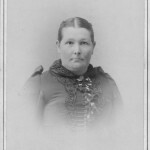 She died in 1893 at age eighty-six and was buried in the Masonic cemetery in Delhi. 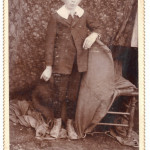 Her son John inherited the miniature of his father. 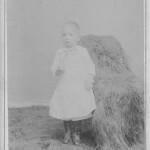 …in 1884, J.F. Trezevant, realizing the necessity of some form of education for his children and the children of the neighbors, erected a one-room building on his farm. 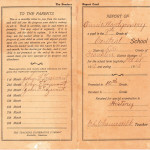 He then secured the services of S. W. Bearsford as the first teacher. 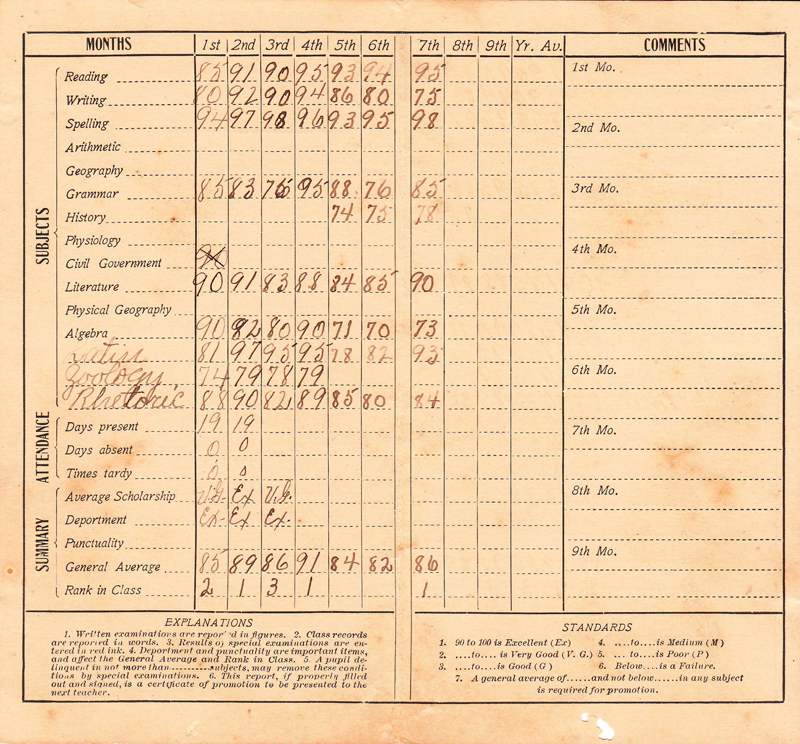 The first enrollment did not exceed eight pupils. Among these were Charles Trezevant, Warren Trezevant, and Ernest Pennebaker. Nothing much was known of Mr. Bearsford. He died in Nachez, and was buried there in Potter’s field and was later removed to England. 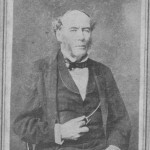 It later developed that he was of the British nobility and had had some form of dispute with his brother, Lord Bearsford. 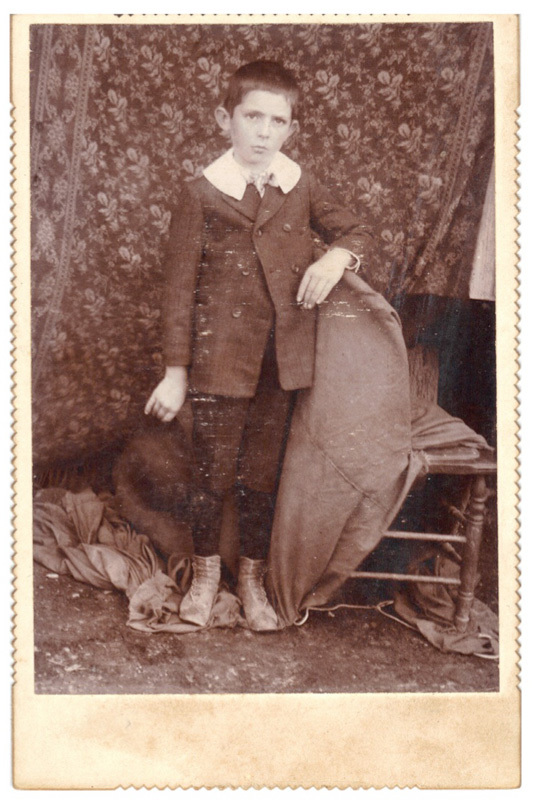 We now have more information about Mr. Beresford (the correct spelling of his surname). 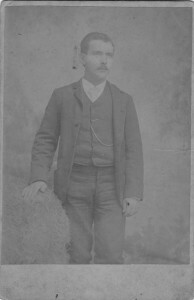 He was Sidney W. Beresford, born in Scotland about 1843. 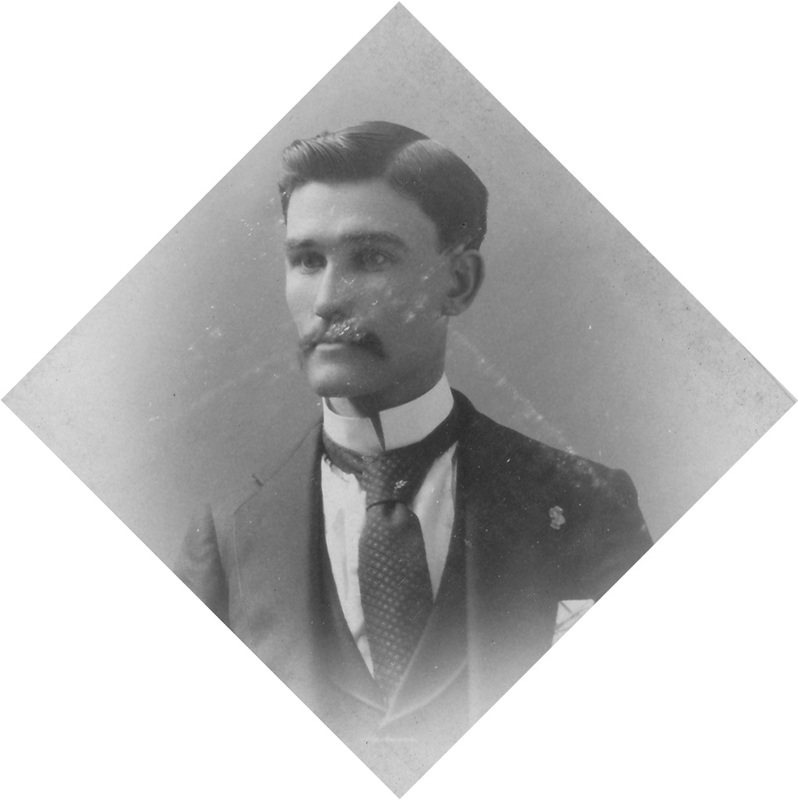 He arrived in the United States as a young man of seventeen and became a naturalized citizen in 1885. 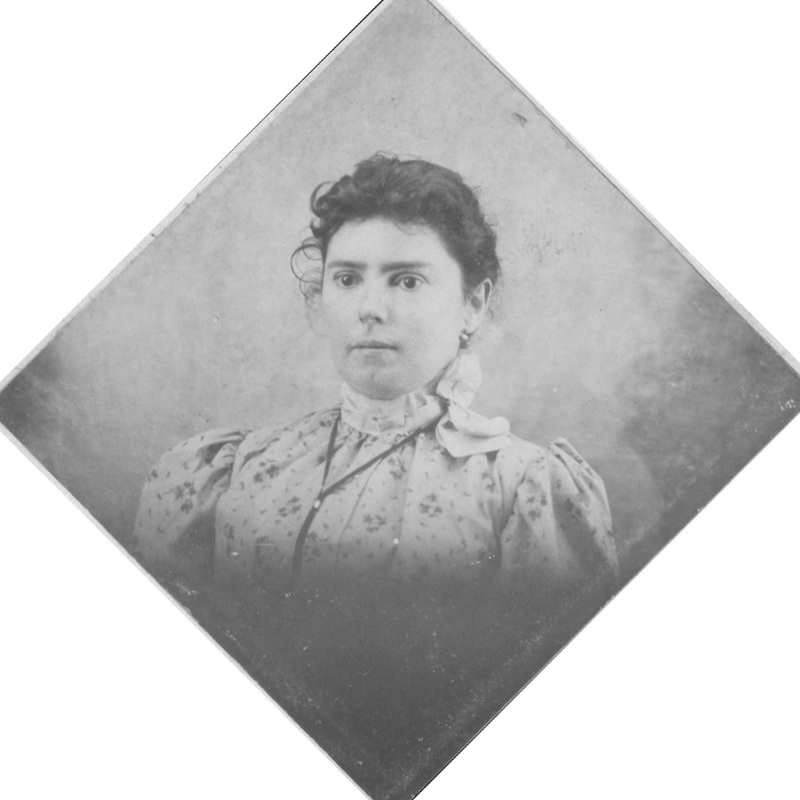 On September 5, 1877, when he was thirty-four, he married fifteen-year-old Ada “Addie” Lilly Roach (1862-1881) in Franklin Parish. Perhaps she was a student of his. 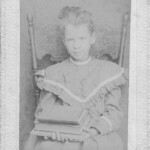 She died young, at age nineteen. 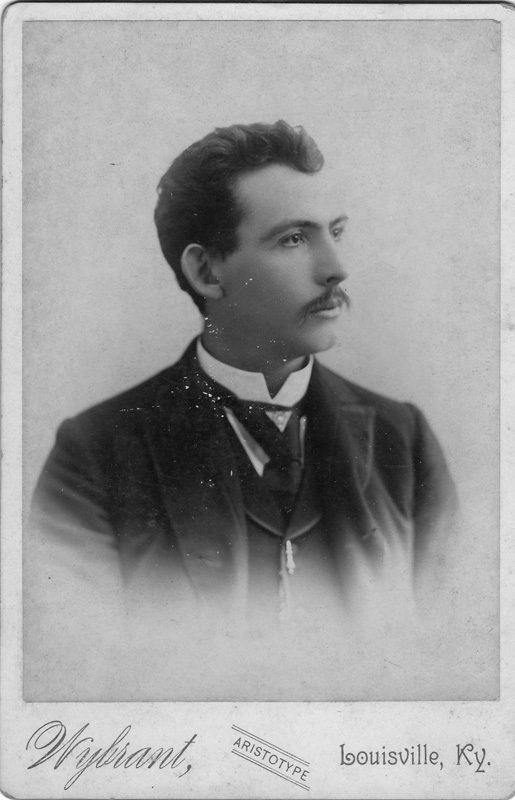 A few years later, in 1884, Sidney Beresford, then forty-one, began teaching in John Trezevant’s one-room school. 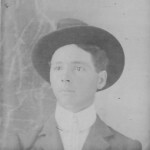 He boarded in the Trezevant home. 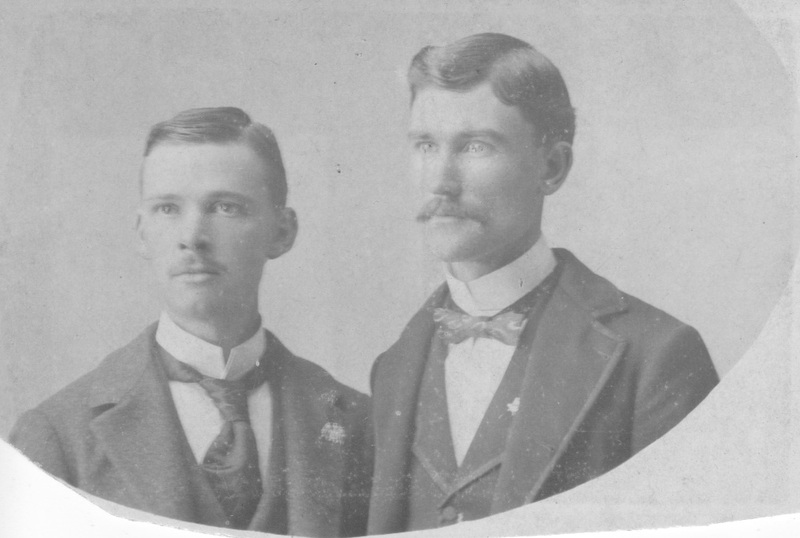 S. W. Beresford was a witness for the wedding of John Warren Trezevant and Eula Benton Foster in Crowville in 1903. 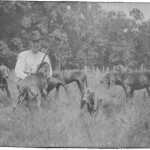 A Montgomery descendent of John and Annie Trezevant later found in their old house a double-barreled shotgun that belonged to Mr. Beresford and donated it to the Old Post Office Museum in Winnsboro. 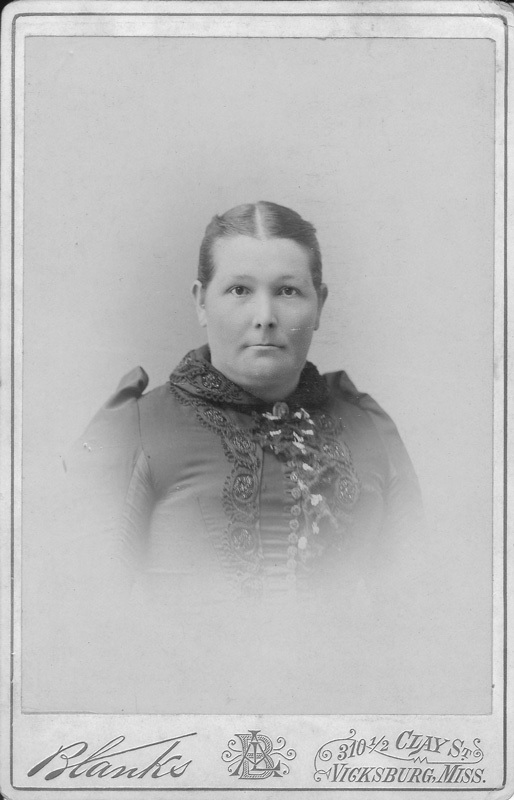 In 1889, another one-room school was established near the home of Mrs. John Stout. 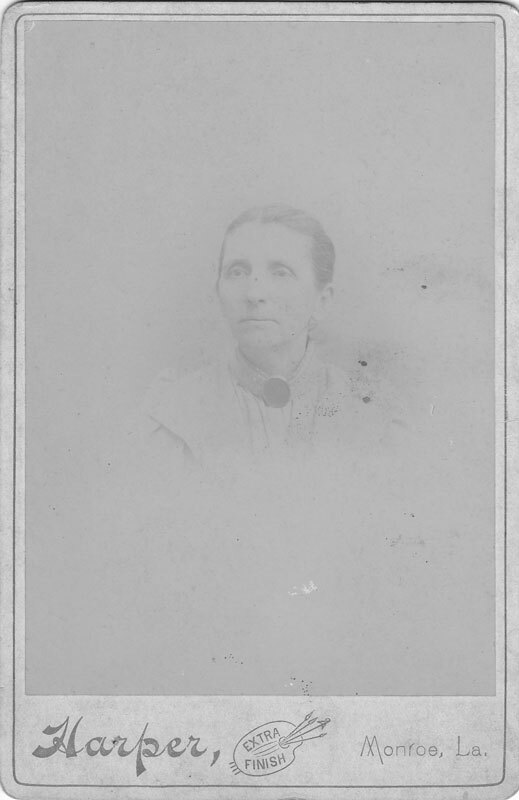 It was here that Mrs. Mollie Lowry taught seven or eight pupils. 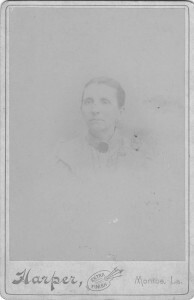 She was followed by F. G. Hulse. The salary was $50 per month. 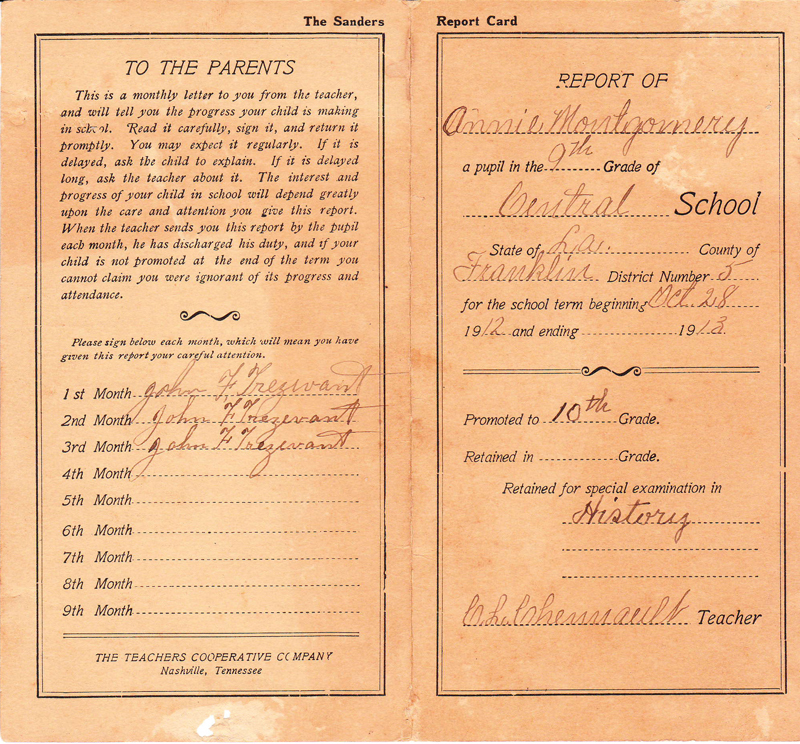 School took in at 8 and dismissed at 5 p.m. A Mr. Guice was superintendent of education as well as a practicing physician. The first teacher officially hired by the Franklin Parish School Board was Elizabeth Foster. 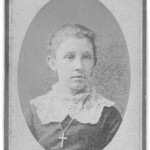 She taught in the Trezevant School at a salary of $25 per month. 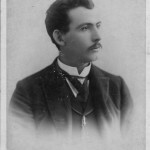 The superintendent at this time was J. M. Smullin. 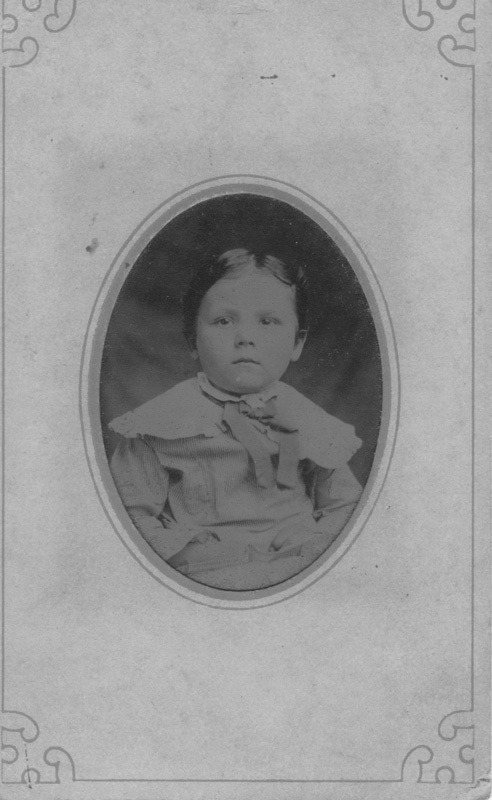 Born in 1881 in Rocky Springs, Mississippi, Elizabeth Foster was the fourth daughter of Columbus Homer Foster (1855-1947) and Tennessee Elizabeth Drexler (1856-1887). 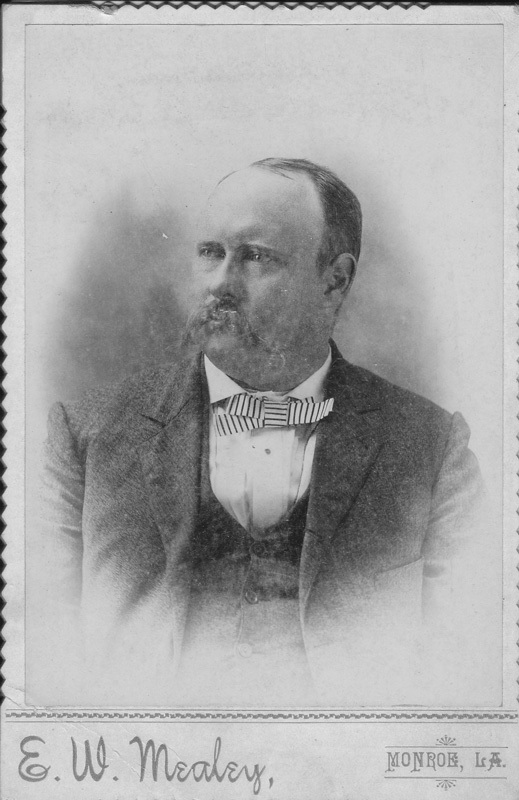 At some time after his wife’s death C. H. Foster moved to Franklin Parish where he remarried. 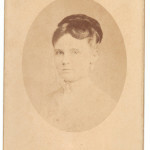 Elizabeth Foster was the next older sister of Eula Foster, who was also living in Franklin Parish. 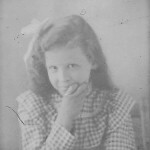 Eula Foster became John and Annie Trezevant’s daughter-in-law when she married their son John Warren Trezevant in 1903. 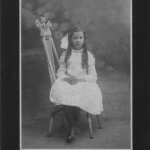 Miss Foster was followed by Alice Denson, Dorothy Maltby, Nannie Thomas and Sara Hair. 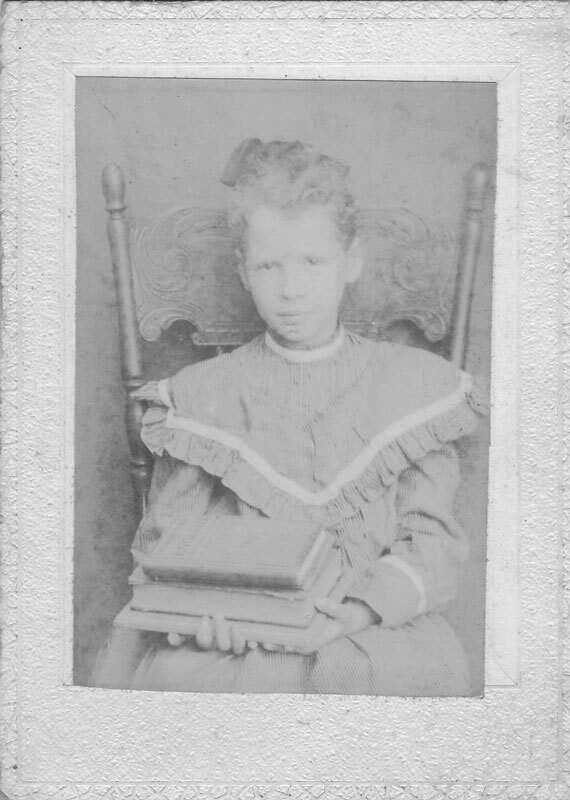 Nancy Edna Denson (1884-1911), probably a close relative to Alice Denson, married John and Annie Trezevant’s youngest son, Charles Norman Trezevant (1880 – ? ). 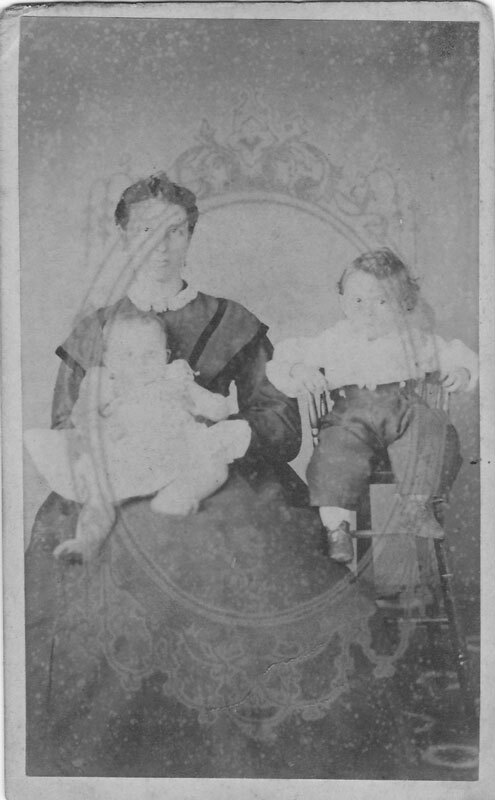 The family of her father, James W. Denson (1845 - ? 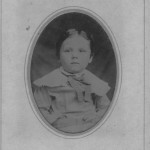 ), lived in Franklin Parish. The next move by the school board was the consolidation of the schools in the community. 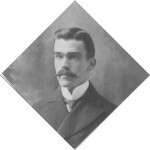 A six-room building was erected and C. L. Chennault was called in to serve as the first principal. Central community and its school are steeped in history. A favorite story about Chennault, who was later to become the famous general of the “Flying Tigers” of China in World War II, revolves around his antics when he was the school’s 19-year-old principal in 1912. Chennault selected his football players and began training shortly after the opening of school. And he was a member of the team, keeping in condition by “trotting” miles each day after school. 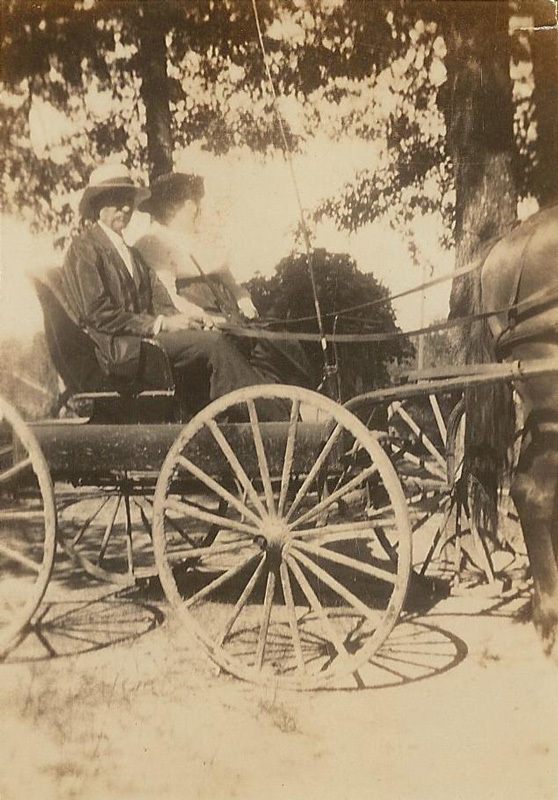 Thus the Trezevant school, with all its subsequent family connections, eventually became the Central School, which was located on a twenty-acre campus north of Trezevant’s Hickory Ridge home. 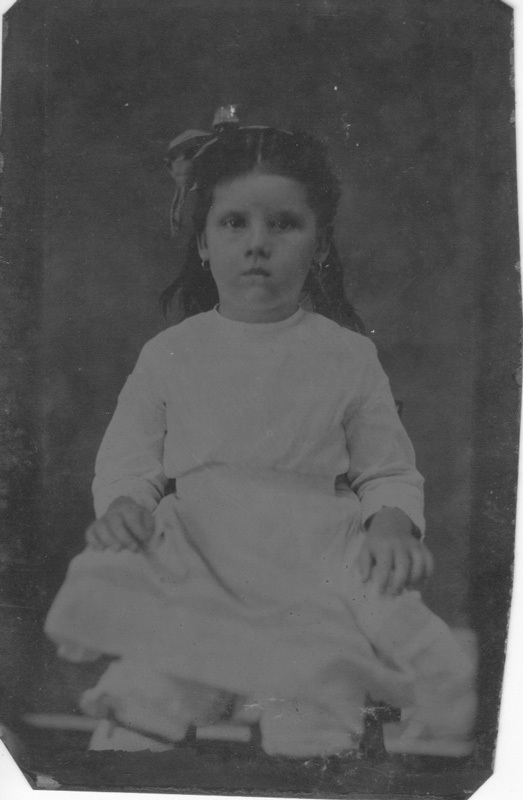 For many years John and Annie Trezevant and then their granddaughter, Annie Montgomery (1896-1986), provided room and board for a series of single teachers working at the Central School. 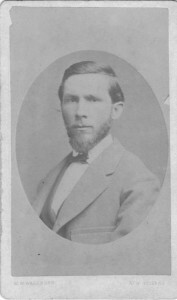 John Trezevant also served on the school’s board. The Central School was closed in May, 1974 because of declining enrollment. In 1979 the property was sold to the Harmony Baptist Church. Today, only the gymnasium building remains, but it is still used for community events. There is a report about John Trezevant that involves the visit of President Theodore Roosevelt to northern Louisiana in October of 1907. 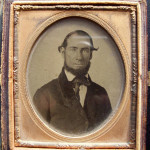 The family lore is that John was a member of the hunting party. 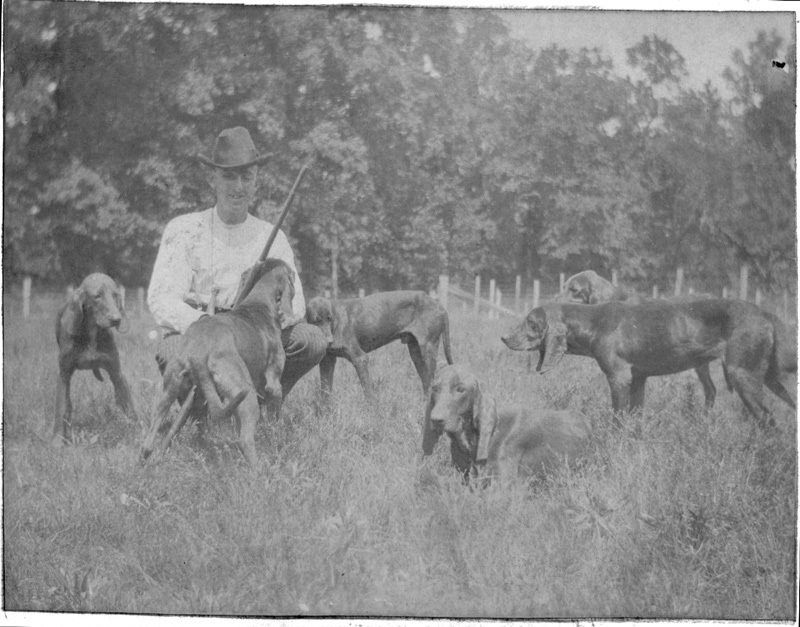 Roosevelt himself wrote about that bear hunt in the canebrakes near Tallulah, and he names the leaders of the hunt and a few local residents, but he doesn’t name John Trezevant. However, it seems quite possible, given John’s standing in the community, that he was a member of the hosting group and at least met the president at that time. 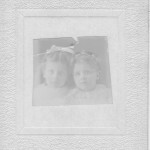 After Annie Trezevant died in 1913, John (“Grandpa”) was cared for by their unmarried granddaughter, Annie Montgomery . 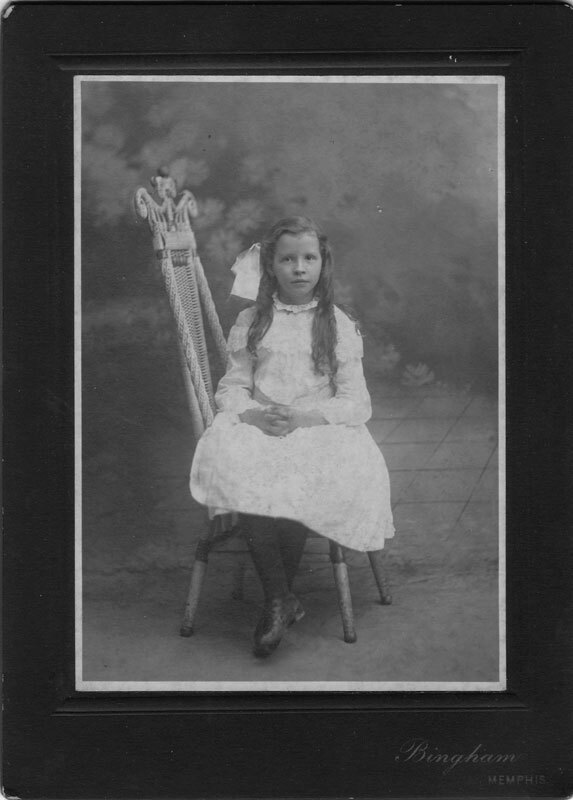 Annie was taken in by them when her own parents, Mary and A. K. Montgomery, died of yellow fever when she was only four years old. 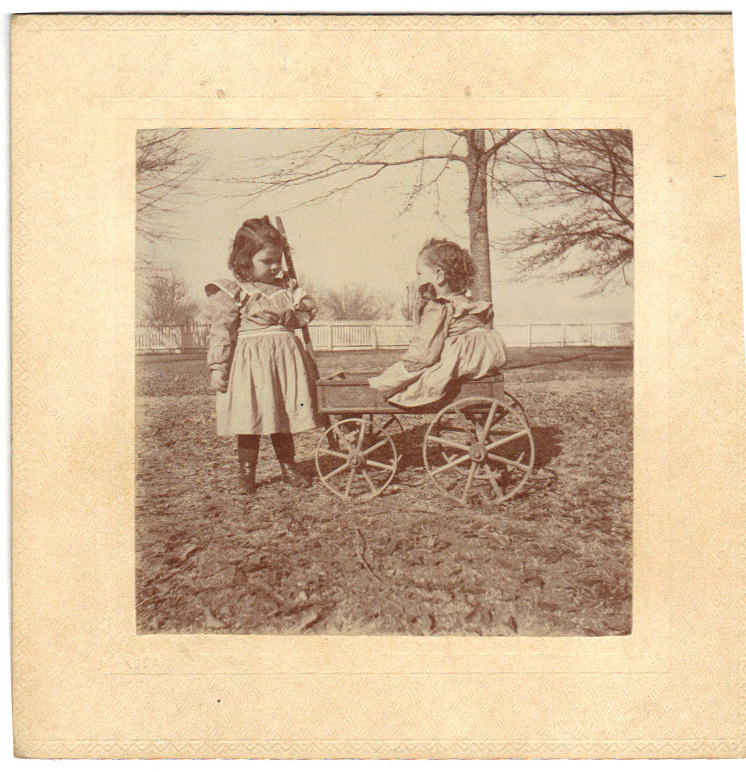 She remained in the house until she was too old to maintain it, and it was eventually torn down. It was a classic one-story house with an open front porch and with an open but roofed dogtrot running between the two main front sections and another one separating off the kitchen area. 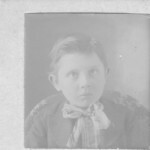 John Farquhar Trezevant died at age eighty-eight on August 3, 1932, also at Warsaw. He was the last family member to be laid out on the family’s cooling board, one solid piece of cypress board, 6 feet in length, 3 feet in width, and 1 inch thick. 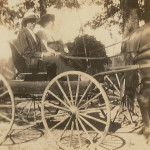 He was dressed for burial in his Confederate uniform and was transported to a funeral home in Delhi on the bed of a Stake Body Truck. Annie and John Trezevant were both buried in the Masonic cemetery in Delhi. 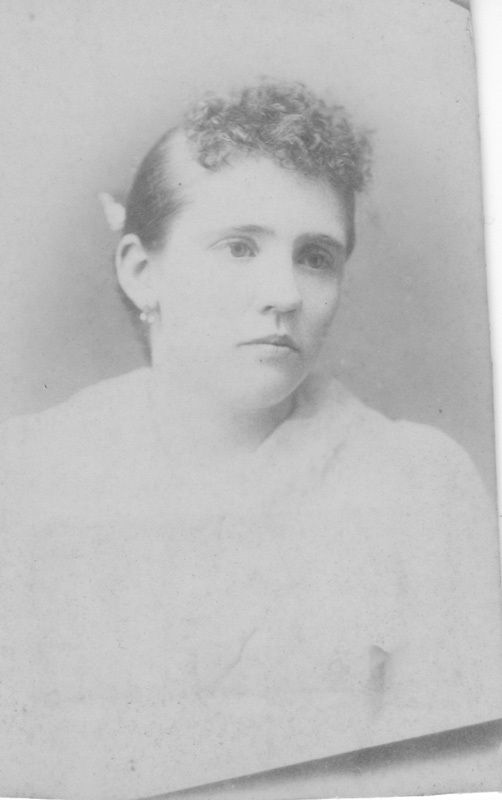 Mary Vick Trezevant (1869-1900) married Alexander Kincaid Montgomery, Jr. (1850-1899) on December 12, 1888. 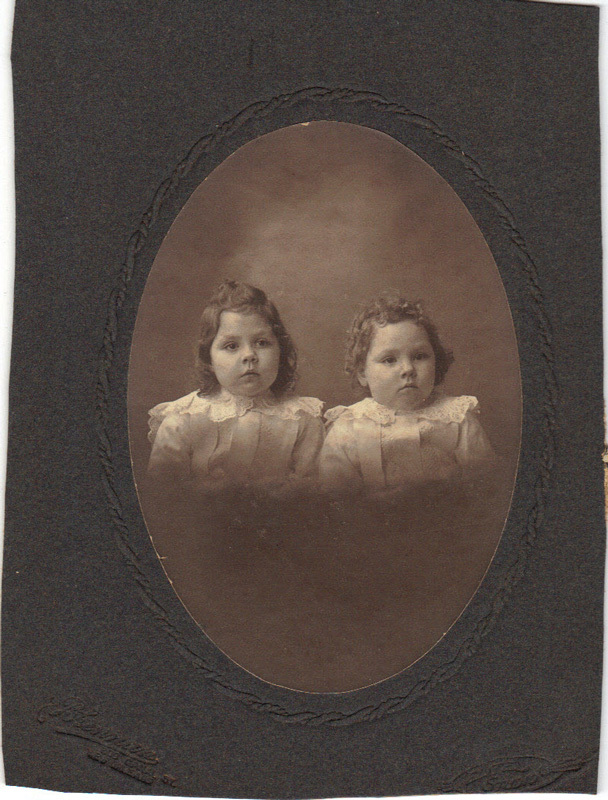 They settled in Madison Parish, LA, and had seven children. 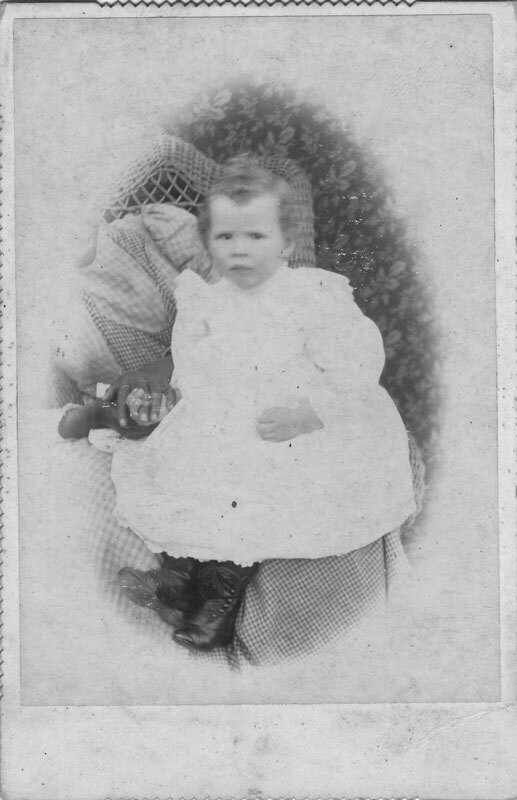 Annie is pictured above and A. K. M. died as an infant. 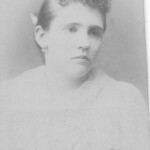 Margaret Elizabeth Trezevant (1870-1932) married Thomas Jefferson Griffin (1860-1938) on June 5, 1892. 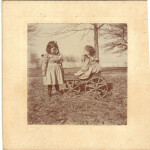 They settled in Franklin Parish, LA, and had four children. 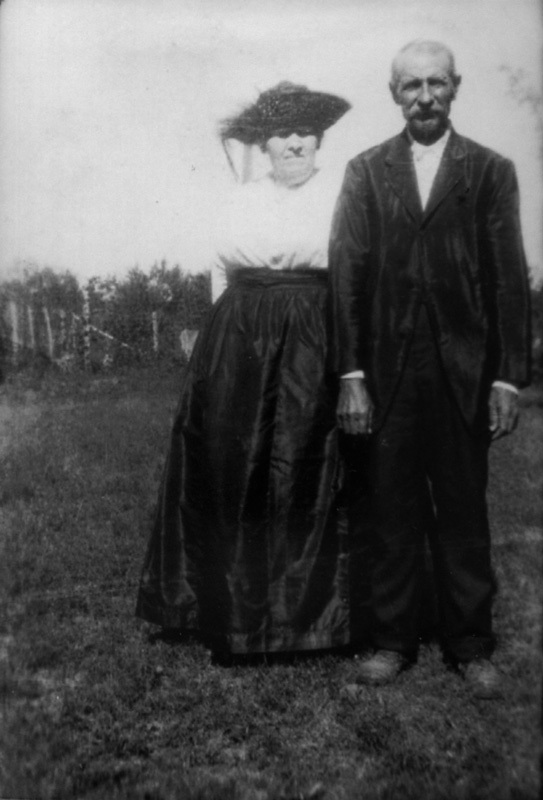 Jessie Brown Trezevant (1874-1948) married James R. Ragland (1866-1937) on October 4, 1893. 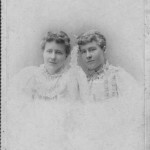 They settled in Memphis, TN, and had seven children: Rebecca, Cornelia, Annie Trezevant, Mary Upshaw, James, Jessie, and Margaret Elizabeth Ragland. 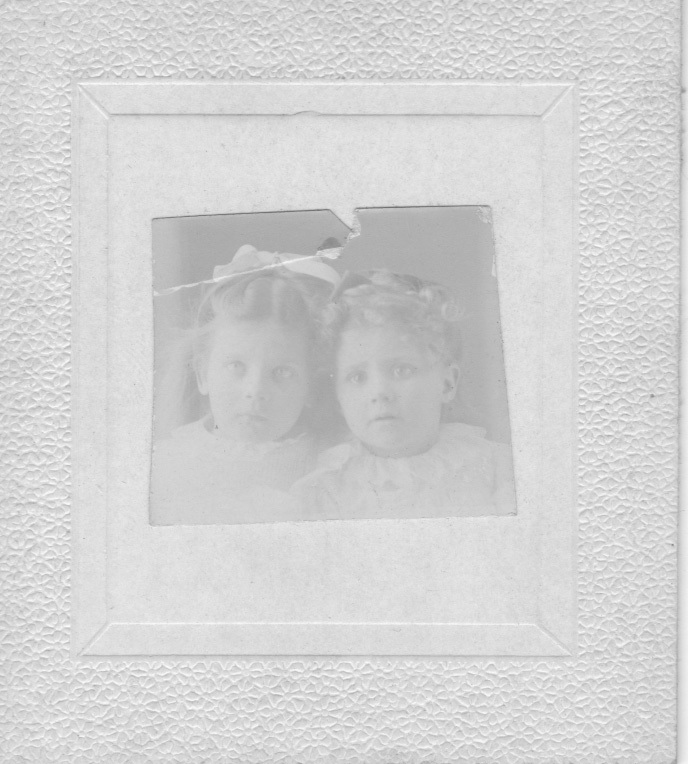 In 1903 Eula and Warren Trezevant presented a photo album to his parents, John and Annie Trezevant. 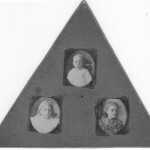 The photos that were labeled or were identifiable as being members of the Trezevant family are with the biographical sketches. The remaining photos are shown below. 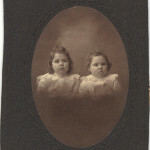 The Trezevant-Vick and the Vick-T. D. Trezevant family Bibles (1872) with genealogical information are in the Louisiana State Museum in New Orleans. 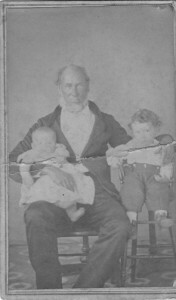 Memorabilia belonging to Jesse Thornton Vick and Mary Brown Vick include an ambrotype of him as a younger man, a photograph of him as an older man, and a photograph of him as an older man with his first two grandchildren: all 3 in the Louisiana State Museum in New Orleans. The Vick cruet set and a match box are now in the Old Post Office Museum in Winnsboro. 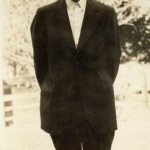 A shotgun belonging to Samuel Beresford and the cooling board used for the body of John Trezevant in 1932 will be donated to the Old Post Office Museum by George B. Montgomery, a third generation descendent of Mary Vick Trezevant and A. K. Montgomery. 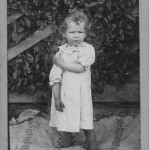 “Beresford, Sidney W.” Public Member Tree. Ancestry.com. 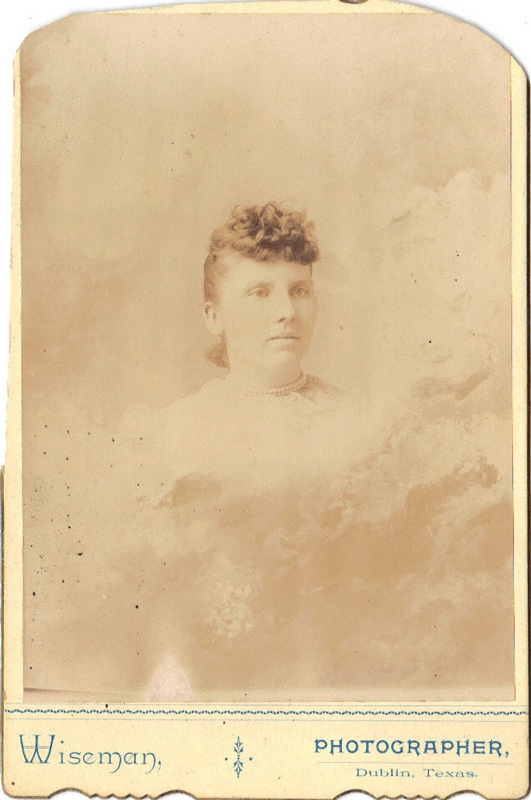 www.ancestry.com (accessed November 15, 2013). 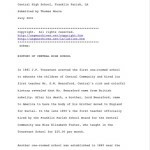 Chennault, William C. Email correspondence with the author, 2013 to present. Franklin Sun: Centennial Edition. 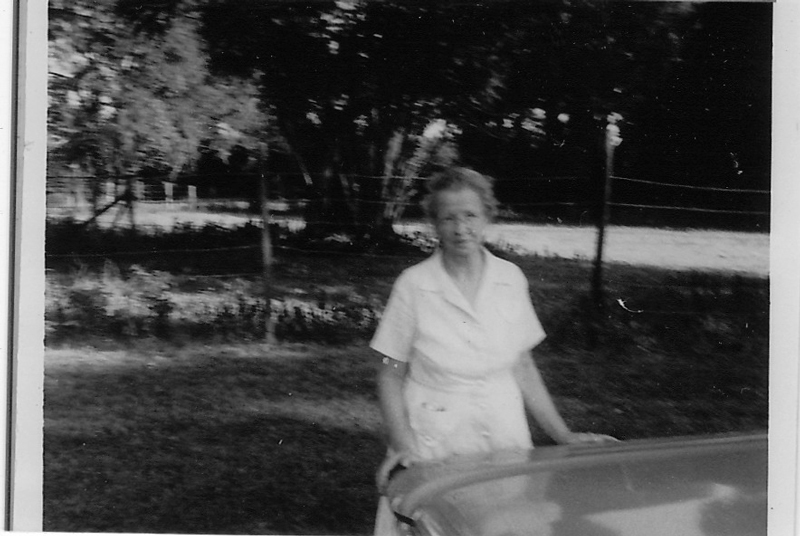 August 16, 1956. 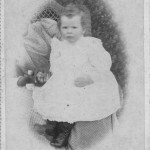 (photograph). Groom, Winston. Vicksburg, 1863. New York, NY: Alfred A. Knopf, 2009. Stone, Kate. 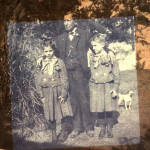 Brokenburn: The Journal of Kate Stone 1861-1868. 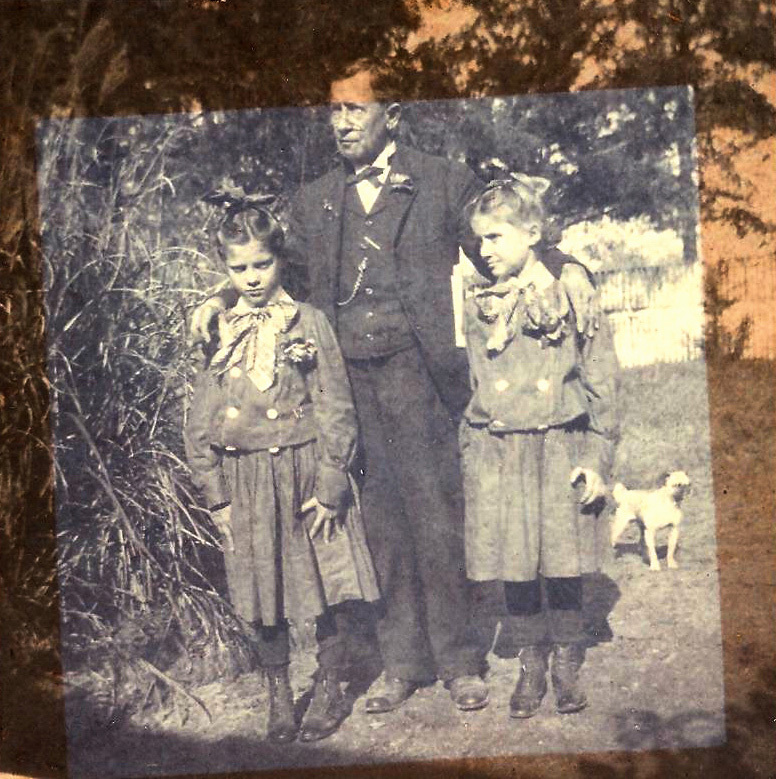 Edited by John Q. Anderson. Baton Rouge, LA: Louisiana State University Press, 1955. 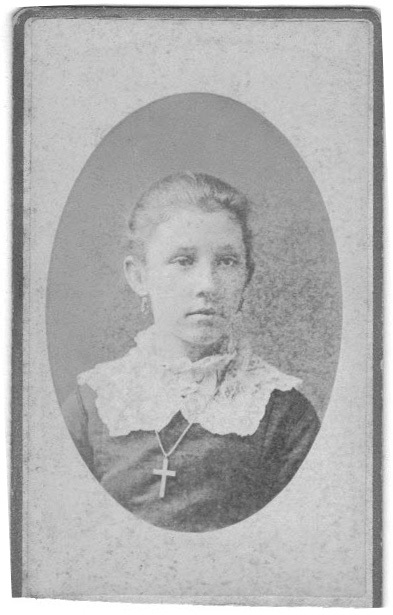 –––. “Trezevant.” File #008198. Republic and State Land Grants. www.glo.texas.gov (accessed November 15, 2013). 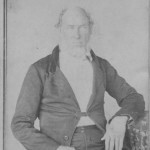 NOTE: The pdfs related to James Peter Trezevant contain his original bounty and donation grants from 1860, including his affidavit of July 9, 1858. Womble, Marilou. “Small-town school memories die hard.” Franklin Sun. n. d.
I skipped directly to John Farquhar Trezevant’s section. I loved it! 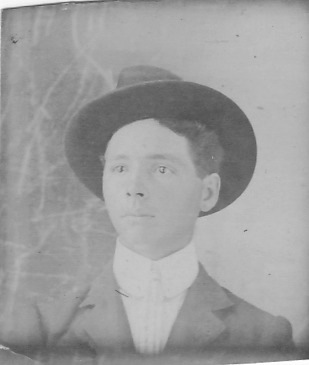 Plus, you have included history about my grandfather of which I was unaware. I knew he taught in the area, but that was all. 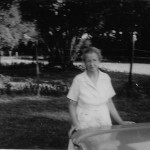 This site has already taught me more than I thought I would learn about my own family.